Documents are now mostly uploaded on the web in a PDF format. The size of the file matters a lot when you want to upload the document and you want other people to download it easily. 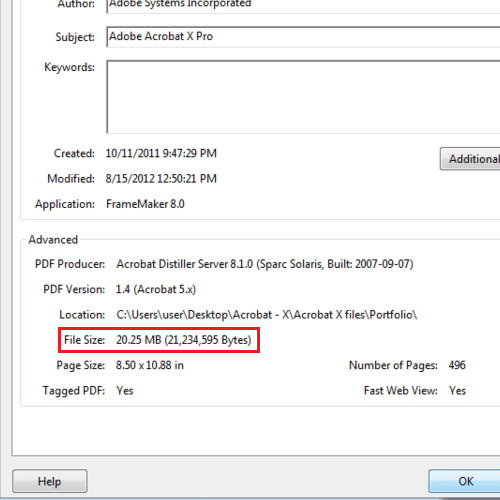 The file size can be reduced to a certain extent by using a feature of Adobe Acrobat X. 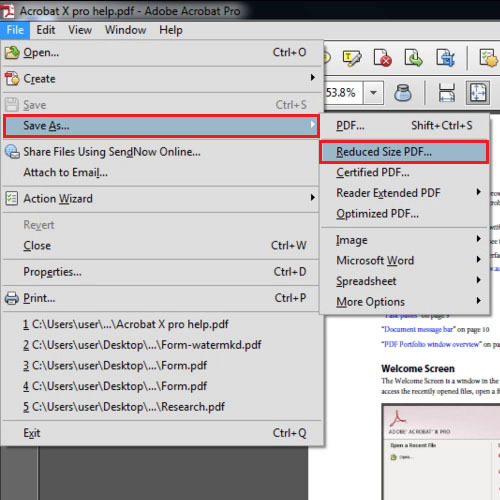 To learn how to reduce the PDF size in Acrobat X, follow the tutorial below. We have opened the Adobe Acrobat X help file. We can look at the size of the document by clicking on the “file” tab and then going to its properties. This file is of 24mb, we will reduce its size. First of all let’s look at the resolution of the images which are included. You can check it by going to the “tools task pane” and under “print production” click on the “output” preview button. Then from the dialog box select “object inspector” and click on the image to see its resolution. The images included in this document are already of low resolution because it is supposed to be downloaded by a lot of people. In order to reduce the size of a document to upload it on the internet or for some other use, click on the “file” tab and go to “save as” and then select the “reduce size pdf” option. A notification will appear telling you that the attachments will not be optimized and each attachment will need to be processed individually. Click on the “ok” button. A new box will open; you do not need to make any changes to it. 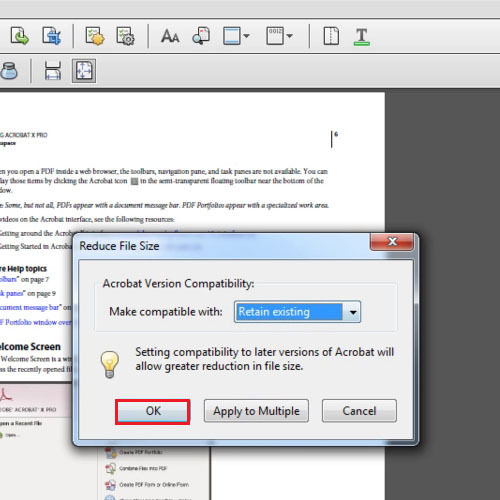 However if you click on the downward arrow of “make compatible with” you will see a list of Adobe Acrobat version. Click on the “ok” button to move forward. You will need to save the file therefore we will add the word “reduced” at the end of the original file so that the original does not get overwritten. This new file contains your PDF with a reduced size. After you reduce the PDF size you can click on the “properties” option to see the new size. Previously it was 24mb and now it is 20mb. If the images were of high resolution and we would have reduced it then, then the size would have decreased more. Over here, the file mostly contains a lot of text still it managed to reduce 4mb.